For everyone having missing teeth problems, dental implants are the best option. They function and look like normal teeth, and can also last not less than 30 years. 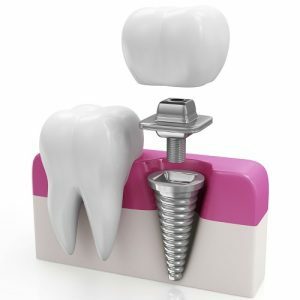 Considering these advantages, dental implants are quite an investment option for people needing to look better and feel better. Here are the 5 useful tips for you to afford for the cost of dental implants. 1. Insurance: The first step you will have to take is to check with your insurance provider if they will cover the costs of the treatment. Most insurance providers partially cover the expenses of dental implant treatments for you. Doing so will help you pay only less than the required amount for the procedure. 2. Ask your dentist: Just in case you couldn’t afford for the treatment, ask your dentist if they can help you out in any way. Most dentists will be willing to assist you in reducing the expensed for you. For instance, they would schedule the procedure for you which will help you recover more from your insurance plan. They might also offer you a payment plan which lets you pay in instalments rather than paying in full. 3. Save Money: If you have found the perfect dental implant, start saving up money from now on. Set aside a goal as to how much you would save every week and stick to it. Calculate when you’ll be able to afford for the treatment and schedule the appointment accordingly. 4. Split your Sessions: It is not mandatory to have dental implants all at once. You can start with the important one, save up more money and then have the rest done later. Dental implants costs are not as expensive as one might think. Considering the long term durability and its easy maintenance, dental implant is definitely a reasonable option for missing teeth problems.